All grizzly bears in the lower 48 states are again protected as threatened under the Endangered Species Act, according to a court ruling. Late Monday, Missoula U.S. District Court Judge Dana Christensen ruled that the U.S. Fish and Wildlife Service didn’t do all that the law requires before it delisted the Yellowstone population of grizzly bears last summer. Christensen sided with the plaintiffs – tribes and wildlife conservation groups – on both of the grounds they argued: the agency hadn’t considered what would happen to other grizzly bear populations if bears were delisted in the greater Yellowstone ecosystem; and the agency hadn’t fully considered all the best science related to bear population estimates and genetic health. The first argument – that the resulting status of bear populations outside Yellowstone needed to be factored in – was a big part of the case that Christensen heard on Aug. 30. It stemmed from an earlier case dealing with wolves, where a D.C. appeals court ruled that different populations couldn’t be carved out of the whole without re-characterizing what remains. Removing a significant slice of the species from protection could leave sub-groups that weren’t large enough to be considered a population under the law. Earthjustice attorney Tim Preso told Christensen that a few of the grizzly populations that the USFWS intended to recover – the Bitterroot and the northern Cascades – don’t even have bears yet. Delisting the Yellowstone population opened the door for people to argue that those proposed populations didn’t deserve protection. USFWS attorney Coby Howell countered that the remaining grizzly bears would be listed just as they had been for the past 40-plus years. But the judge ruled that the USFWS hadn’t gone far enough because it is also preparing to delist the Northern Continental Divide Ecosystem population, which would again shift the balance. If both the Yellowstone and NCDE populations were delisted, that would leave fewer than 100 grizzlies in two regions, the Cabinet and Selkirk mountains. “Given the context surrounding the Greater Yellowstone segment delisting, the Service’s argument – that the Court should, as it did, look no further than to note the continued listing of the lower-48 grizzly post-listing of the Greater Yellowstone grizzly – is simplistic at best and disingenuous as worst. Again, the Service cannot abuse its power to ‘delist an already protected species by balkanization,’” Christensen wrote. While he was considering his ruling, Christensen twice delayed the grizzly bear hunts scheduled to begin on Sept. 1 in Wyoming and Idaho. The latest suspension was set to expire on Thursday with no option to extend it further. So the plaintiffs were anticipating Christensen’s ruling and responded almost immediately with celebration Monday evening. “We have a responsibility to speak for the bears, who cannot speak for themselves. Today, we celebrate this victory and will continue to advocate on behalf of the Yellowstone grizzly bears until the population is recovered, including within the Tribe’s ancestral homeland in Montana and other states,” said Lawrence Killsback, president of the Northern Cheyenne Nation. Bart Melton, Northern Rockies regional director for National Parks Conservation Association, praised the fact that bears wouldn’t be targeted if they stepped outside of either Yellowstone or Teton national parks. “The Department of the Interior can now go back to the drawing board to hopefully consider what research, such as the long-term impacts of climate change on the population, must be considered to ensure a healthy long-term future for Greater Yellowstone Ecosystem grizzlies,” Melton said in a statement. 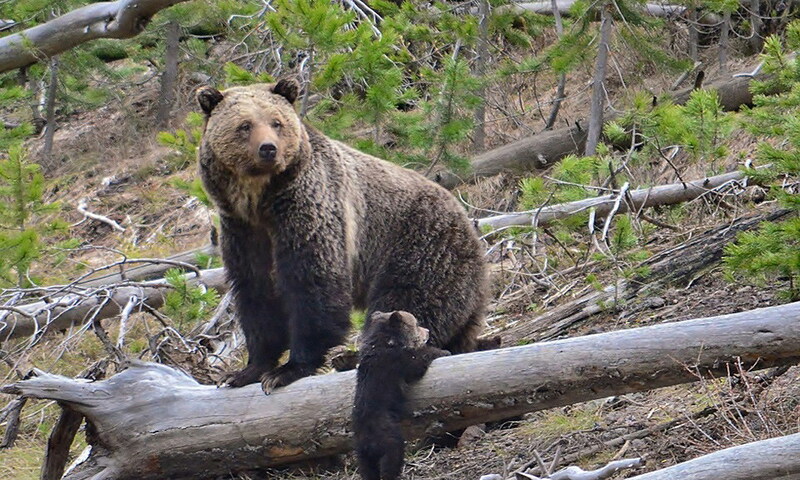 “Politics has no place in removing species from protective status – decisions must be driven by the best available science, and here, the science says grizzly bears remain threatened in the lower 48 and in the Yellowstone region. Today’s decision is a firm reminder to the Fish and Wildlife Service of its duty,” Bishop said. The issue of grizzly delisting is an emotional one, with wildlife advocates questioning the ethics of a trophy hunt and farmers and ranchers complaining about bears killing livestock or getting into grain bins. Already, near Jackson Hole, Wyo., wildlife agency personnel killed two grizzly bears after an elk hunter and his guide were charged. The guide died of his injuries. In his initial paragraphs, Christensen made it clear that his decision focused only on the law and not the societal implications. In the end, the judge’s answer was yes. The USFWS must go back and look at all the grizzly populations and be able to defend their status before doing a piecemeal delisting. The USFWS will likely appeal the ruling to the Ninth Circuit Court of Appeals.